Highlights of this week in history aims to present some of the most interesting facts which took place through the years. Each of the events and facts we present have had an impact on history, on pop culture, or simply, they are very interest. The archives provide additional information on most historic events and facts. Posted in this week in history	and tagged with week in history	by Phillip. In the news this week aims to present some of the most interesting facts which took place through the years. Each of the events and facts we present have had an impact on history, on pop culture, or simply, they are curiosities. The archives provide additional information on most historic events and facts, and you can find links to free viewings of the related articles, below. On this day in 1692, the first Salem witch is hanged. Bridget Bishop was found guilty of the practice of witchcraft. 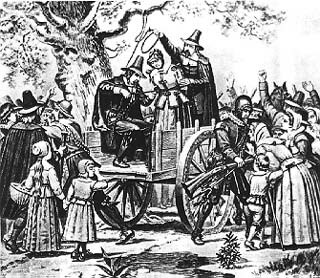 19 innocent people were hanged during the Salem trials. This week in history bears a great significance on the Second World War evolution. To highly important historic events, we have added events which have made a mark on the film industry and beyond. 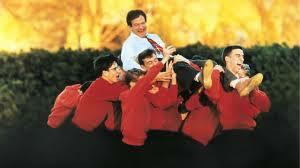 On this day in 1989, the brilliant drama Dead Poets Society is released in the US. The film starred Robin Williams as a charismatic English teacher who encourages his students to “seize the day” (“carpe diem”). Happy 40th Birthday to Angelina Jolie, a talented and inspiring woman! She is a mother, humanitarian, Oscar winning actress, filmmaker, and a fighter for women's rights. We can't help but wonder what will she do next? On the 5th of June 1883, the first Orient Express departs Paris with Constantinople as destination. The train was a showcase of luxury and comfort at a time when traveling was seen as dangerous, and quite rough. It was the means of transportation for the rich. For more information about these events, or other events which might interested you, you can browse and search the archives. There are 4 centuries of news at your fingertips!